Ritalin (Methylphenidate) is a central nervous system stimulant. People mostly use it in narcolepsy and attention deficit and hyperactivity disorder treatment. In addition, they may prescribe it to treat depression in seniors. It works by increasing the level of dopamine in the brain. In this case, it helps to improve focus and maintain alertness in the users. Due to its very addictive characteristics, you should only use Ritalin if prescribed. Self-medication is strictly forbidden because it can lead to heart failure and death. Therefore, it is important to know the Methylphenidate side effects. What are the Common Ritalin Side Effects? What are the Less Common Methylphenidate Side Effects? What are the Rare Adverse Reactions to Ritalin? What are the Symptoms of Methylphenidate Allergic Reaction? 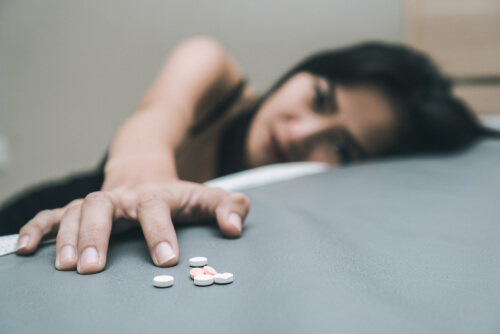 Is Addiction a Side Effect of Ritalin Use? How to Prevent Methylphenidate Side Effects? These Methylphenidate adverse reactions occur in a majority of the patients taking it. If you have any concern or any of these negative effects persist, you should talk to your doctor right away. Ritalin high can also be reviewed as one of the side effects of this drug. Only a small fraction of the patients experience one or more of the following symptoms. For this reason, you may become panicked when you have them. Most of the less common Methylphenidate side effects are not very serious in nature. Therefore, you should not stop using the drug thinking you might be in some health trouble. Always consult your doctor before quitting any medication. Of course, watch for the following side effects of Ritalin if you or your loved one is taking it. In case they worsen, consult your doctor right away. Less than 10 patients out of 10,000 taking the drug may experience one or more of the following effects of Ritalin. Therefore, they call them rare. Is any of the following long-term or short-term adverse reactions after Methylphenidate use happening, getting worse or troubling you? Talk to your doctor immediately. In some cases, the major Methylphenidate adverse effects listed above do not occur quite often. However, they might be severe. Therefore, if you notice any of these symptoms, quickly tell your doctor. Otherwise, you can seek emergency medical help. Consequently, self-medication will lead to tolerance and drug addiction. In some cases, a person may develop a tolerance to Ritalin. As a result, they need a larger dose to experience the full effects of the medication. Indeed, overdose is one of the life-threatening side effects of Ritalin addiction. As a result, this severe condition can be fatal. In fact, this is important for users who have an undiagnosed heart condition. As a matter of fact, allergic reactions to Ritalin are not true side effects. They occur when your immune function turns hostile to the medication. In other cases, they are from other ingredients in the preparation. Consequently, you may experience a few of these symptoms. This may show an overactive immune function. Some allergies are mild in nature. On the other hand, some can be fatal. Therefore, you should not take any of the symptoms on a light note. Stop taking it and seek an emergency medical attention if you have any of the following Methylphenidate allergy symptoms. If you have a known allergy to a specific medication, you should inform your doctor. A therapist can remove Ritalin from your system through detoxification procedures together with allergy symptoms. Consequently, self-medication will lead to tolerance and Ritalin addiction. In some cases, a person may develop a tolerance to Ritalin. As a result, they need a larger dose to experience the full effects of the medication. Indeed, overdose is one of the life-threatening outcomes of Ritalin addiction. As a result, this severe condition can be fatal. In fact, this is important for users who have an undiagnosed heart condition. Regrettably, kids and teens are at a greater risk. This is considering the fact that more and more kids with ADHD are using them on a regular basis. What is even scarier is they may have to use it indefinitely. Moreover, if you sniff or inject it, toxic effects may result. In fact, they say the effects of the abuse of this drug may exceed those of amphetamine abuse. You shouldn’t be using Ritalin if you suffer from glaucoma, anxiety, tics, or agitation. If you have taken MAO inhibitors in the last 14 days, using Ritalin is strictly forbidden. You may notice some of the signs of Methylphenidate allergic reaction. They are swelling of the throat and face, breathing difficulties, itching, and rash. In such cases, immediately seek professional help. Due to the very abusive traits, you should use Ritalin only if prescribed. Of course, you can prevent some Ritalin side effects by taking measures of precaution. For instance, to avoid sleeping problems, you should take medication in the morning. In addition, eating healthy and exercising may help you curb some of Ritalin side effects. Make sure to inform your physician if you have certain conditions to lower the risks of Methylphenidate side effects. They are high blood pressure, arrhythmia, heart problems, history of seizures, or EEG abnormalities. Also, it is of the essence to tell your doctor if you have a history of drug abuse. And last but not least, while on Ritalin, avoid using alcohol as it can make the medicine absorb even faster as well as the adverse reactions development. Before taking Ritalin, inform your physician about any chronic disease you suffer from. In addition, you should also mention the potential history of mental illness and drug or alcohol abuse. If you or your loved one has developed the side effects after taking Ritalin, ask for professional help at our hotline 888-559-5511. The conversations are always confidential and free.